The MoodleBox dashboard can be found in the administration interface, under Site Administration > Server > MoodleBox. It is only accessible to platform administrators. When the MoodleBox power supply is not adequate, a warning is displayed at the top of each page. This warning is only visible to the administrator. Other MoodleBox users do not see it. The dashboard provides access to important information on the operation of the MoodleBox. The dashboard also allows you to perform the following operations. Change the date and time of the MoodleBox, when it is not connected to the Internet. Change the main password of the MoodleBox. 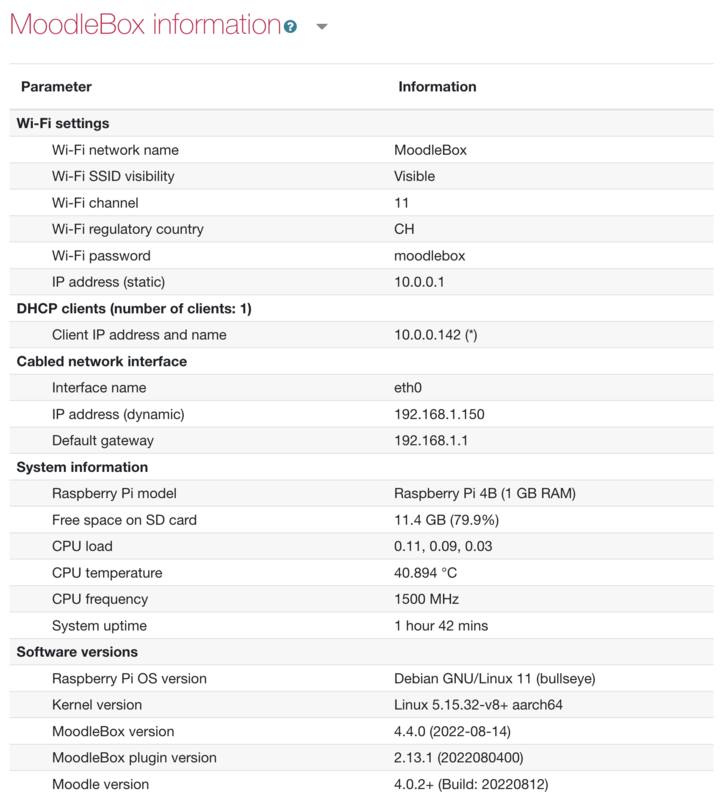 Change the configuration of the Wi-Fi network provided by the MoodleBox.